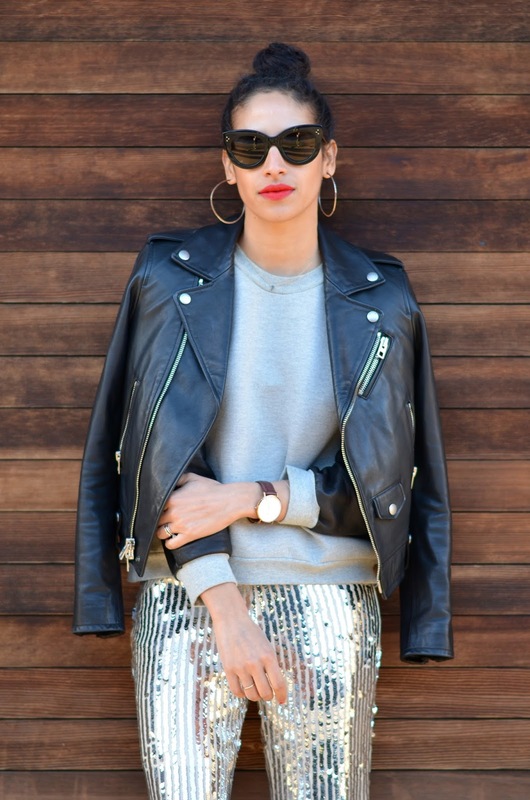 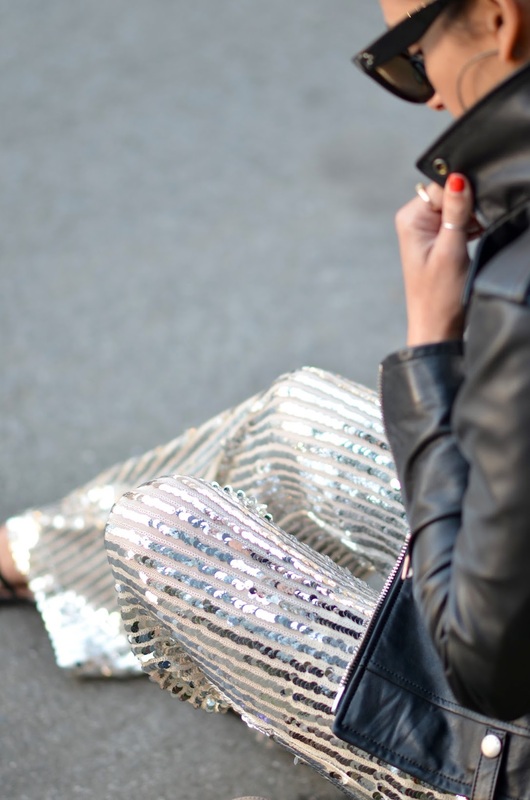 Sequin pants don't necessarily mean holiday season, they have a stigma and sure I get why they do, but I think they can be worn year round. 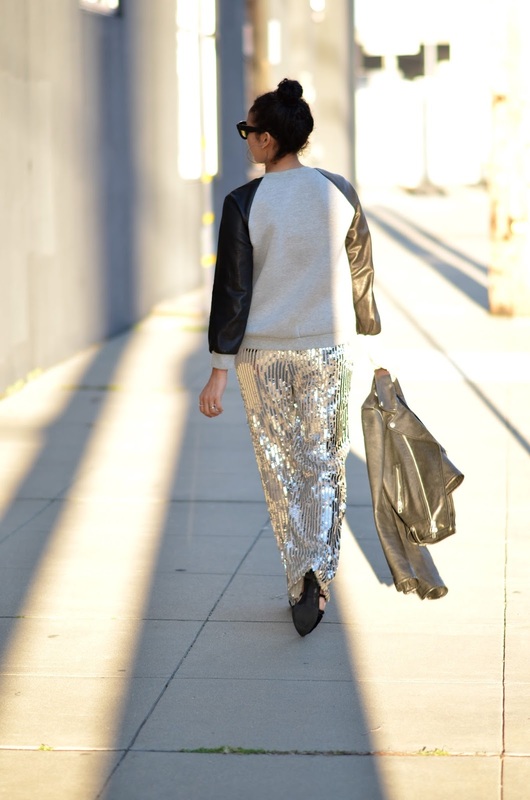 Take for example my take on Spring time sequin pants. 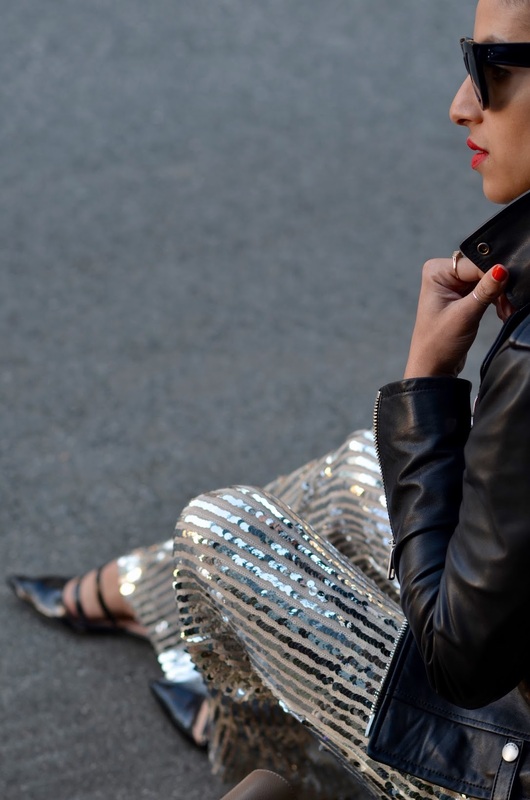 I paired them with a lot of leather, a bold lip, a chic flats and an easy updo- to ofset the glitzy-ness of the pants. 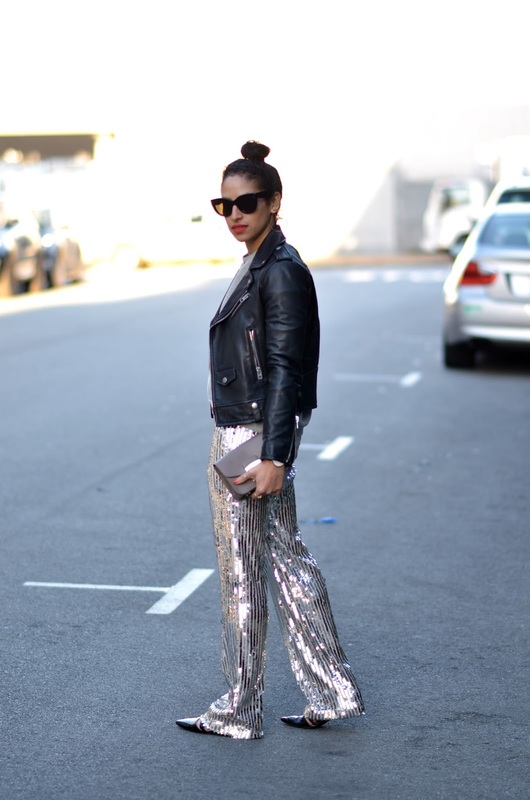 I might even do these pants with satin pajama top, how would you wear these pants?